Academic qualified and experience in the General Insurance Market include Malaysia, Philippines, Indonesia and India, in Sales, Marketing, Underwriting & Claims both motor & non-motor businesses. Experience in the tariff and de-tariffication environment. Setting up a robust underwriting operation in SEA inline with AmTrust policy and UK PRA & FCA requirement. Direct reporting to SEA Group CEO and indirect reporting to both SEA Group CFO and AmTrust Europe CUO. Building an effective and efficient workflow based on local country requirement. Engaged with local insurers in the local market for partnering for fronting & facultative reinsurance arrangement, product development submission for regulatory approval. Responsible for Pricing, Premium Retention, coverage analysis, loss control needs. Exco member for Claim service and Operations Improvement committee. Developed business unit staffs for the product and underwriting knowledge. In collaboration with the country CEO, major accounts/segment leaders develops and executes a distribution strategy that drives profitable growth. Manage and mentoring the underwriting team for each market and regional with full support. To lead and manage the workflow and performance of Claims Management. Forming an internal auditing team to ensure the adherence of procedures and enable the department to optimize claims performance through efficiency, innovation and continuous improvement. Drive the development of critical business capabilities to meet current and emerging demands, specifically quality assurance, workforce management, and performance reporting. Adherence and maintenance of all compliance objectives in a timely and costly manner inclusive of application of all company policies, procedures, standards, relevant laws, regulations and industry codes of practice. Deliver key customer insights, implement effective and efficient controls/processes to prevent leakages. Robust project management of all Claims projects and initiatives for on time and on budget delivery. Champion transformation, change management and improvement. Provide strong leadership and solid experience in payment processing. Lead in Pricing Implementation & New (Fire & Motor) Product Development in the Company. Oversees all aspects of an organization's underwriting function. Developing and enhancing underwriting and risk management philosophies, underwriting operation and procedures, business strategies in according to the needs of the Company and market conditions. Provides high-level expertise and guidance in technical insurance matters. Responsible for the development, implementation and execution of the price implementation tools in the upcoming de-tariff environment. Working closely with other distribution channels to support and achieve business plan, financial objectives and profitable growth. Assures proper communication and coordination between Underwriting and Marketing. Add value to the Portfolio Manager and Product Development team on the development and/or enhancement of new and/or existing products and market entries; ensure our products are competitive from a pricing and coverage standpoint. Oversees periodic underwriting audits and implement the best practices and internal controls for underwriting function. Assures that business processes are performed in the most efficient manner and ensure all resources are allocated and utilized effectively. Creates a monitoring system for the department, company, industry and marketplace developments in all aspects of insurance. Participates in departmental strategic planning. Responsible for departmental budgeting and forecasting. Provides guidance, leadership and motivation to the team. Responsible for high-level administrative functions within the department which include; performance evaluation and management, anticipation of staffing needs, hiring, assurance of proper training programs and performs disciplinary measures when necessary. Assists with the development and implementation of performance management metrics. In September 2011, I joined AmG Insurance Berhad hereafter renamed to AmGeneral Insurance Berhad. The Bancassurance Department is newly formed under the new Company structure to leverage on the AmBank platform in cross-selling the insurance deal. Ongoing development and management of the relationship with the Bankers and Direct Corporate customers and/or brokers. Work closely with business units to gain detailed understanding of their businesses and plans. Development of Bancassurance strategy to penetrate the large corporate segment. Develop and implement new tactical campaigns to strengthen the Bancassurance value proposition and revenue yield. Prepare presentations, credentials and marketing documents to support business development initiatives. Conduct regular market research based on ongoing requirements by the customers. Review business performance and make business plan. Provide technical risk assessment to commensurate with terms and conditions to underwriter. Design and recommend optimum insurance program structure in terms of coverage and premium cost to customers. Annual review of all policy wordings and coverage to ensure all exposures are either insured or drawn to the customers’ attention. Provide advice on alternative risk transfer and/or risk control and/or risk financing options where applicable. Reviewing exposure/insurance values to ensure it is adequate for insurance purposes. Answering coverage issues or questions when requested. Assist in the review and selection of insurance markets for reinsurance placement when required. Assist in the negotiation of competitive terms in the insurance market with reinsurers as required. Assist in negotiations with claims manager and/or loss adjusters on major claims. Day-to-day running of the business including management of various reporting requirements. Provide clear guidance and direction to coach the team. Handle adhoc projects as requested. In November 2010, I joined MUI Continental Insurance as Assistant Manager under the Retail Marketing Division in the Head Office. 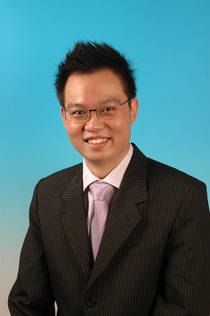 In December 2010, I was transferred to the Klang Branch office as an acting Branch Manager until August 2011. I report directly to the CEO and the Head of Marketing. My main role or responsibilities as an acting Branch Manager is to manage the direct corporate and agency portfolio which worth around RM16mil. These consist of both the Motor & Non-Motor businesses. The group company is undergoing to dispose their insurance business. I started up my insurance career in Tokio Marine Malaysia as an Executive under the Japanese Corporate Division/Global Business Division. I was subsequently promoted as Senior Executive in year 2010 and this was also the last position I hold in this company. I handle the Japanese corporate clients mainly in Melaka, Nilai, Bangi and Selangor area, for example; the Panasonic Group, the Pioneer Technology Group & the Meditop Group. I report directly to the Japanese expatriate and a Senior Manager. Move forward for different experiences in the insurance industry. Attended a series of evening revision classes and the Face-to-Face Training revision courses offered by the Chartered Insurance Institute (CII), based at the Lloyd's Training Centre in London, for many Diploma/Advanced Diploma units. English Legal System, Criminal Law, Contract Law, Constitutional Law, Law of Tort, Law of Trust, Law of Evidence, & Land Law. Company Law, Employment Law, Internet Law, E-Crime, & European Union Law. Traveling - My travels include UK, Singapore, Spain, Italy, Czech Republic, Hungary, Austria, France, China, Hong Kong, Macau, Taiwan & Australia.